Toronto – March 19, 2018 – Merit Travel Group is eager to announce the appointment of Joshua Amiel as Vice President of Sales and Account Management for their corporate travel management division, MeritBiz. Amiel will have overall responsibility for developing and implementing new sales and client retentions strategies for MeritBiz, as well as providing leadership to the Sales and Account Management teams. Working closely with Dirk Baerts, President, MeritBiz, Amiel will ensure successful alignment of sales and new business prospecting in support of business growth objectives. 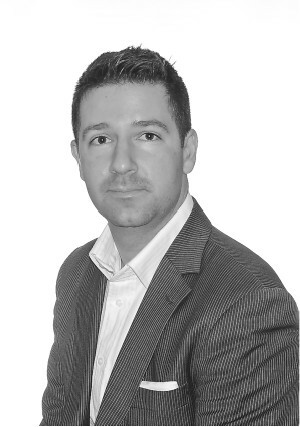 Joshua Amiel brings more than 15 years of travel industry experience to the role, in a combination of leisure, airline, teaching, travel management company (TMC) and tour operator roles. He holds a Bachelor of International Business from Carleton University as well as an MBA from Queen’s University. His experience includes Hotel Management in the Dominican Republic, Director of Product Development at Zoom Airlines & Go Travel Direct, as well as teaching as a part-time professor in Travel and Tourism at Algonquin College. Joshua’s TMC experience includes time both as a Global Business Manager where he was responsible for all aspects of client contracts, planning and execution, and as Senior Director of Global Sales responsible for the Canadian market. Joshua is an active member of the Association of Corporate Travel Executives [ACTE] and is currently the co-chair for Canada. Merit Travel Group is a speciality travel company established in 1991 by Michael Merrithew and Louise de Grandpré. Now one of Canada’s largest independent travel companies with offices across Canada, Merit Travel services more than 350, 000 Canadians each year across their speciality brands; Merit Travel, Travelcuts, MeritBiz, Merit Loyalty and Exclusive Tours. Merit Travel Group is jointly owned by the Merrithew Family and Tokyo-based, H.I.S. Co. Ltd., one of the largest global travel networks.